Home Blog Advice and Tips Is it worth taking the Delta course? Is it worth taking the Delta course? We take a closer look at the Delta course, how you can do it, and what it might mean for your English teaching career. 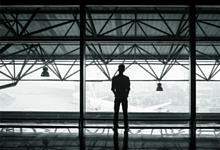 Whether you fell into it by accident, or ended up here on purpose, those of you who are fully-fledged career English teachers will know that just as with any ‘regular job’ (and I use the term loosely), you’re always looking for ways to develop your skills and advance your career. Professional development is the often-overlooked, but most important, part of forming great teachers. Sure, the CELTA course – with its intense nature and practical components – is a brilliant first step into English teaching, but on the job is where English teachers really hone their classroom skills. There are a lot of ways that professional development takes place throughout your English teaching career; from staff meetings, to in-class and online courses, conferences, course books and TEFL blogs, but the real, official step comes in the form of the Delta. The Delta is Cambridge’s internationally recognised Diploma in English Language Teaching, and ranks as a level seven qualification (so, the same as a Master’s) in the UK. It often signifies a teacher’s progression from classroom to career. But how exactly does one obtain the Delta? How can you fit it around your working life? And what exactly will it mean for your career? With the help of some of our CELTA and Delta trainers from around the world, we break down whether or not the Delta is a worthwhile step in your career. The University of Cambridge Delta course is a diploma designed for experienced and qualified English teachers who want to take the next step in their career; whether it be to director of studies, teacher trainer, course book publisher, or even just a better-rounded instructor. It’s broken down into three modules, the first of which includes an exam, the third a written assignment, and the second a continuously assessed combination of classwork, tasks and teaching practice. How can I take the Delta? First thing’s first, you’ve got to know whether you’ll be eligible. 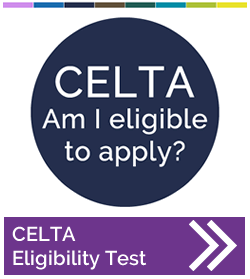 The rule of thumb is that you should have an initial, 120-hour teaching qualification (like the CELTA), and two years of full-time experience with a variety of levels. But, like always, the rules are made to be bent (not broken), and there are some circumstances where teachers who don’t meet the exact requirements can still be accepted onto the course. Have a look at our article on everything you need to know about Delta for some hypothetical applicants. Then there’s the actual course format; the multitude of different ways that a Delta course can be taken. There are part-time courses, full-time intensive, online and online blended – plus a unique model where you can take the second (normally classroom-based) module from wherever in the world you’re based. While most Delta trainees prefer to take a few months off work and complete their modules in one, intensive hit, it’s still possible to fit the course around your job – if you’re game. “We only offer an extensive, nine-month Delta at our centre, and many candidates reduce the hours they teach in order to cope with the Delta workload,” says Steve Oakes, head of teacher training in Budapest. You can take the three modules separately, or all together, and in any order you prefer. The course is quite pricey – is it worth the money? It’s true that a Delta course is financially a step above the CELTA, and it’s not always easy to fund on an English teacher’s wage. Depending on where you go, all three modules can set you back anywhere from £1,700 to £3,000. Comparatively speaking, however, for a level seven qualification the cost is modest: a Master’s in TESOL in the UK, for example, can range in price from £5,000 to £14,000. “The Delta is much more practical [than a Masters degree], as teachers develop their classroom teaching skills,” adds Bunyan. Plus, the certificate leads to roles of higher responsibility, which usually means a salary improvement. “In Australia, teachers can certainly expect a pay raise, particularly when the Delta leads to higher level academic management and teacher training positions,” says Antony Atkinson, academic manager of teacher training in Perth, Western Australia. What will the Delta certificate mean for my career? Holding the Delta opens up so many more career avenues that are often off-limits for the regular, CELTA-qualified teacher. “Whichever big name in ELT you care to mention, they will probably have a Delta,” says Bunyan. But it’s not just the better job or higher pay that makes the Delta so appealing, it’s also the noticeable difference in your teaching knowledge and capabilities. Atkinson supports this sentiment with personal experience, adding that his own experiences on the course made him a more confident teacher. So, is it worth taking the Delta? Am I serious about English Language Teaching as a career? Am I dedicated to ongoing professional development in my career? Do I want to move out of just ‘regular’ classroom teaching and into directive roles, training, or publishing? Do I want to build on my skills, capabilities and confidence as an English language teacher? If you answered a resounding ‘yes’ to these questions, then you’ll no doubt see the Delta as a worthwhile addition to your training and development. Take a look at our Delta hub page here for all the locations, dates and fees around the world, or get in touch with one of our Delta experts to find out more.